What is Surface Finish and Surface Roughness? In Mechanical Engineering Surface finish and the surface roughness, both are referred to same. But In general Surface finish referred as the overall texture of the surface and it is a combination of three factors. 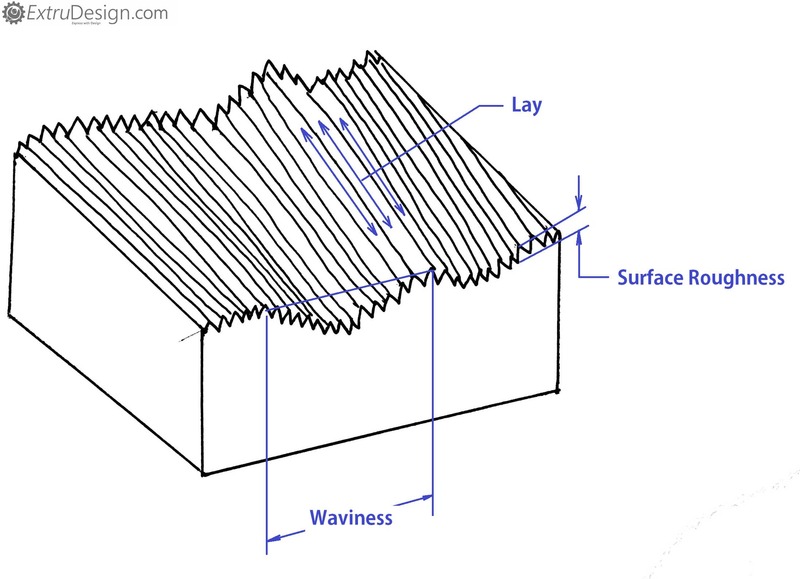 Those are surface roughness, Surface waviness, Lay. Little Confusion? Let’s get into the topic Make it Clear. We produce Machine elements by different operations Turning, Milling, Shaping, Planning, Grinding, etc. These operations leave a different type of marks on the finished surfaces. These finished surfaces need to be more smoothen for a different type of functions. Because the surface finish is the important factor in controlling friction. So it is necessary to maintain smooth finish for the surface and it should be measurable. The surface finish can be said as the surface texture or surface topography. As we said there are three characteristics which will define the Surface Finish. They are listed below. The surface finish is an overall measure of these three Characteristics. This Following Image explains these characteristics in more detail. Surface Roughness is finely spaced surface irregularities. In manufacturing Perspective, they used to call it as the Surface Finish. When they refer to all three(Roughness, Waviness, Lay) they use Surface Texture Instead of Surface Finish. Surface Waviness is also referred to the Surface irregularities with spaced irregularities. As you can see the Irregularity in the above picture. These are the three characteristics which will define the surface finish. And how we will represent these in the Engineering Drawings. See the Below table to understand the representation of Surface Finish on Engineering Drawings. We should not confuse the Surface Finish with the Surface Roughness. 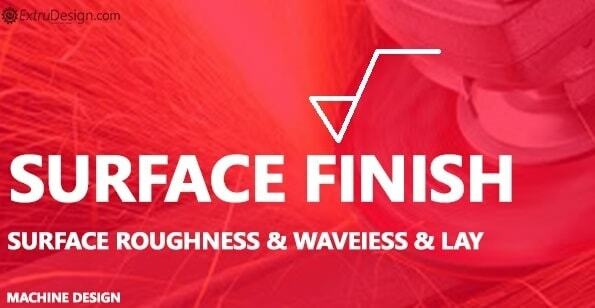 Always Surface Finish will be the Overall measure of the three characteristics Roughness, Waviness, Lay. But the machinists used it in a different way.